Brinsea’s disinfectant (fully biodegradable halogenated tertiary amines) is formulated to be used for cleaning eggs, incubators, brooders and intensive care units. 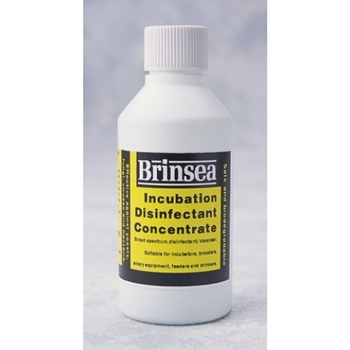 Available in concentrated form, Brinsea's Incubation disinfectant is both safe and effective against yeasts, fungi, viruses and bacteria which can cause fatal damage to the growing embryo. 100ml of disinfectant concentrate makes 10 litres (2.64 gallons). Also available in 600ml format.